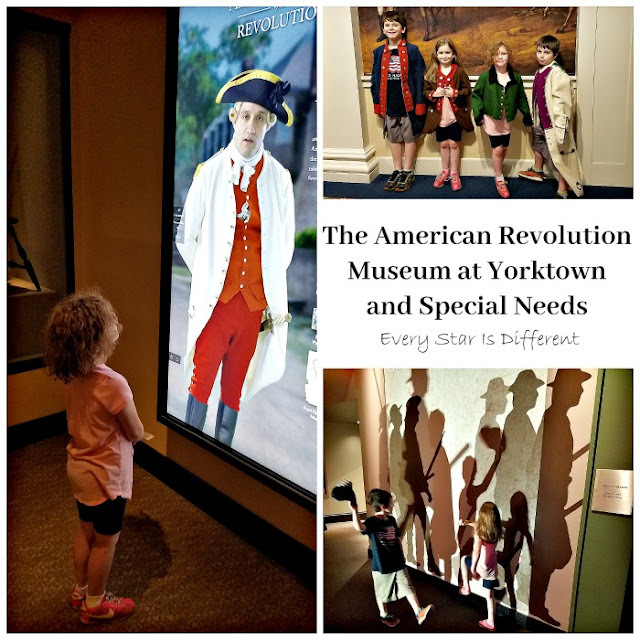 Our family visited The American Revolution Museum at Yorktown last year for the first time and loved it so much that the kiddos asked for an annual family pass for Christmas. 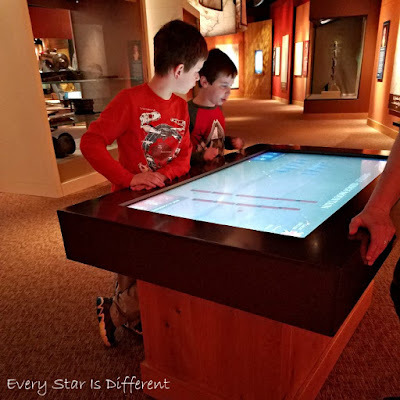 Seeing as it can be difficult to find history museums that are kid friendly, let alone friendly to those with special needs, I couldn't resist writing about all of the fun to be had there. And believe me this is just a sampling of our favorite things there. The kids have had so much fun there. There is something for everyone to enjoy no matter their age. I just love how hands on and interactive this museum is. 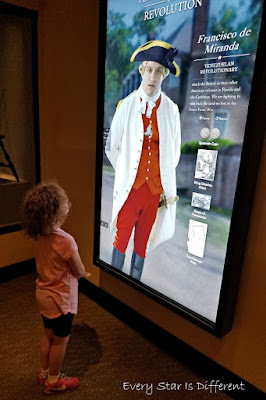 Our family has visited the American Revolution Museum at Yorktown in the heat of the summer and also in the middle of the winter. 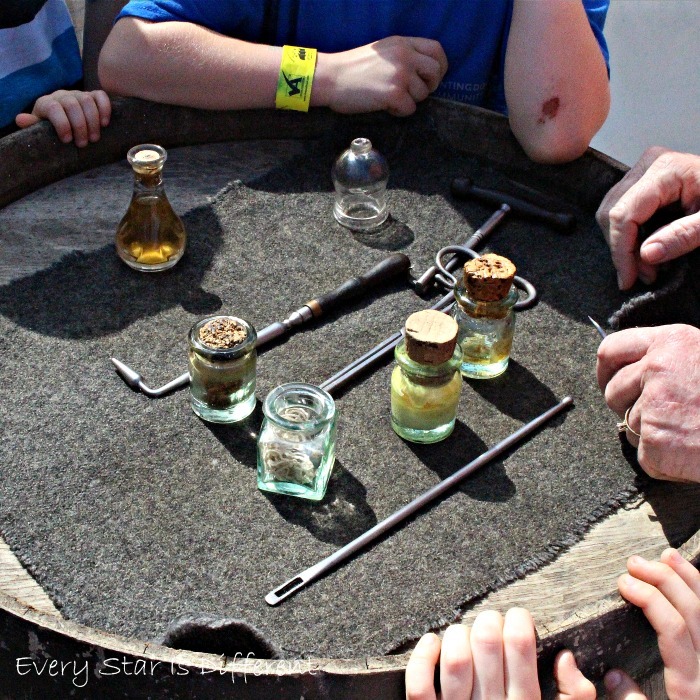 The hot temperatures and humidity can be brutal in the summer while exploring outdoor exhibits. More people visit the museum in the summer, so you can expect bigger crowds. But still, crowds are minimal to begin with, so don't take this into account too much. The winter brings fabulous weather to explore indoor and outdoor exhibits, but we noticed that one whole exhibit was closed during that time, without as many hands on activities out for the kids to enjoy. No matter what time of year you go though, there's still so much to do! The museum is absolutely beautiful. Every wondered who wore what color coats during the American Revolution? 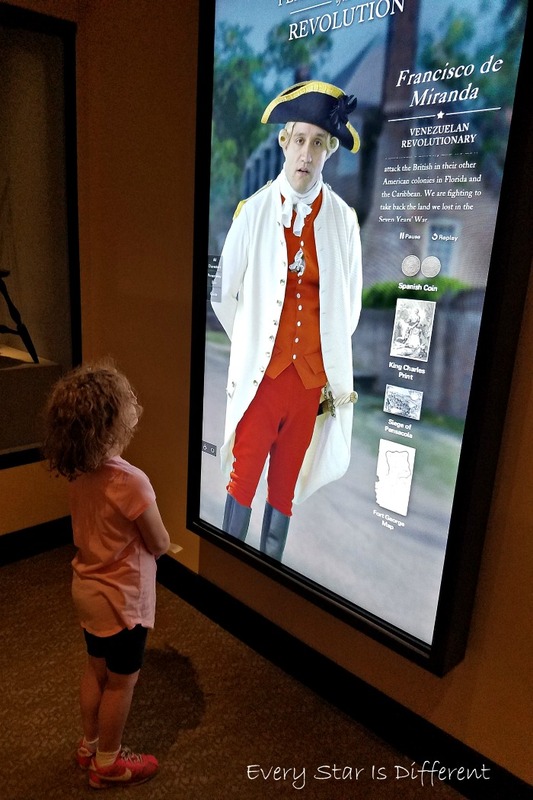 You can learn all about this and so much more at the American Revolution Museum at Yorktown! The first time we visited, during the summer, the kids were given the opportunity to dress up as a soldier. 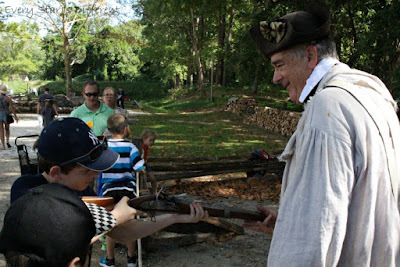 Throughout the museum there are opportunities to "interact" with people from the American Revolution. The screen in the picture above is a touch screen that allows kids to select each character and then listen to them tell their story. All of the kiddos loved this. There may have been some fighting about who goes first and how many times each one gets to select someone. Lol. It was that much fun. I loved how they incorporated different nationalities, ethnicities and races into the museum for an amazing unbiased perspective of the times. Walking past the shadows of soldiers marching couldn't be more fun! It's simple and poignant yet brilliant when it comes to the entertainment of little ones. As kiddos walk by the screen, they can see themselves marching with the soldiers. This provided so much entertainment for our kids. Throughout the museum there are also posts where you can pick up a phone and listen to someone speak about events or people. Add buttons to the mix, and it's an automatic hit! What kiddo doesn't like playing with a phone? Meanwhile Sunshine discovered another fun activity. Images pertinent to the American Revolution are shown on the floor, rotating every few minutes. She loved marching through them, stomping on them, rolling around and laying down. 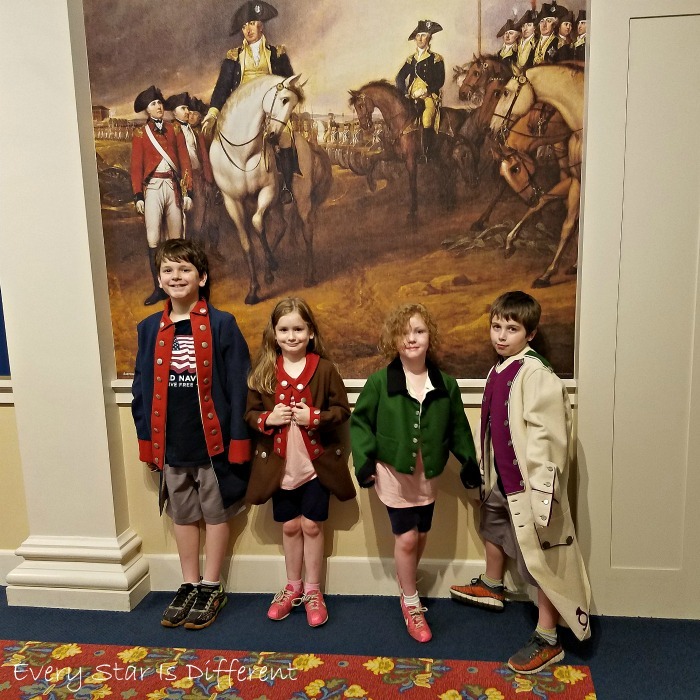 When it comes to a kiddo who needs to constantly move, the American Revolution Museum at Yorktown provides so many opportunities to do so. 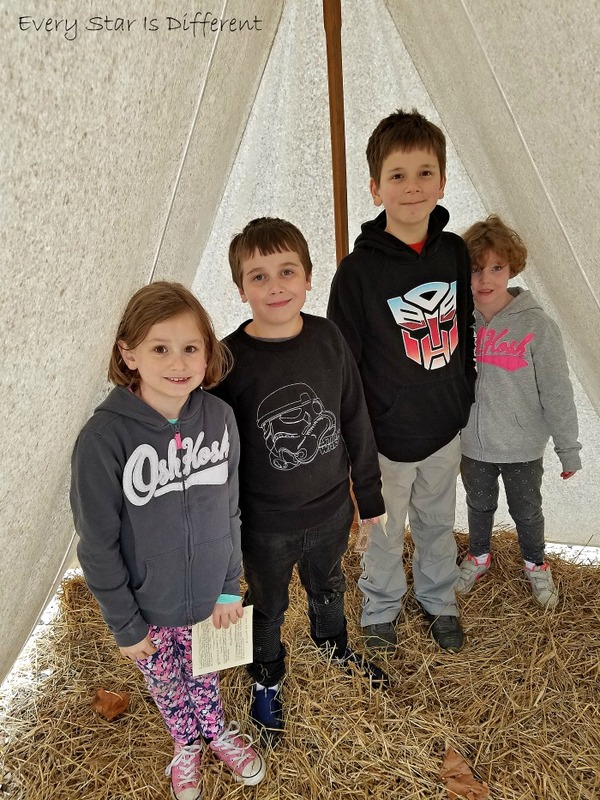 The outdoor exhibits at the American Revolution Museum at Yorktown can be so enjoyable when the weather is pleasant and it's not too busy. Have you ever wanted to learn how soldiers were cared for during the American Revolution? Check out these tools and medicines? Princess was selected to be a patient when we visited during the summer. Dinomite was all about the weapon demonstrations, especially when given the chance to hold and aim a musket at a target. It was much heavier than he thought. Lol. All of the kids were given the opportunity to try which I thought was great. During our winter visit to the museum all four kiddos were able to enroll in the army. The officer in charge of enrollment was sure to tell Princess and Sunshine that they needed to pretend they were boys, as only boys were allowed to fight in war at that time. 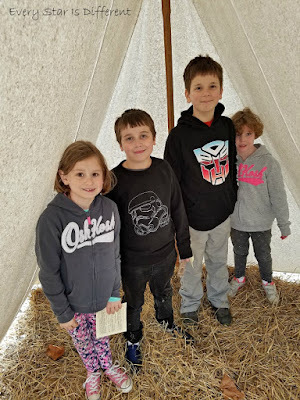 The outdoor exhibit does a great job of bringing to life what life was like as a soldier, including their living quarters, aka tents. You won't believe how many soldiers were expected to share! 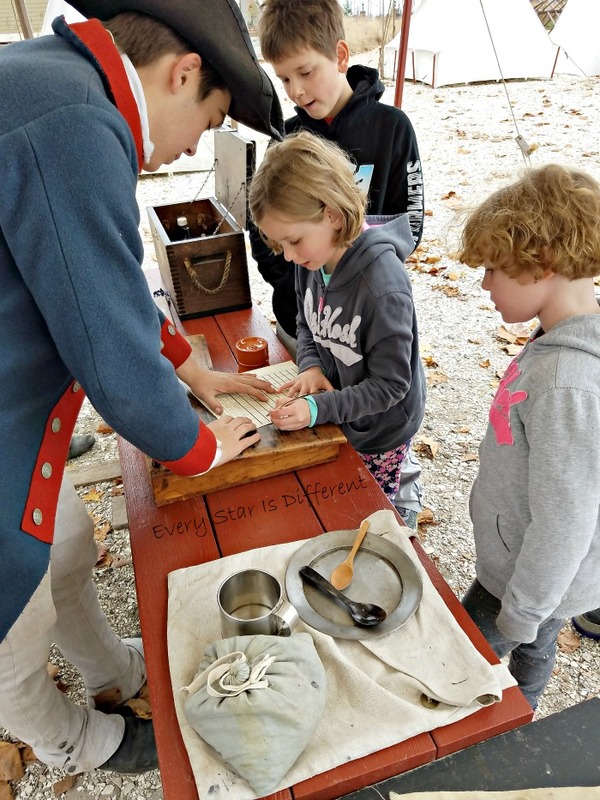 There are many many more exhibits and experiences to be had at the American Revolution Museum at Yorktown. I could devote several blog posts to it with all of the pictures that we've taken while visiting. 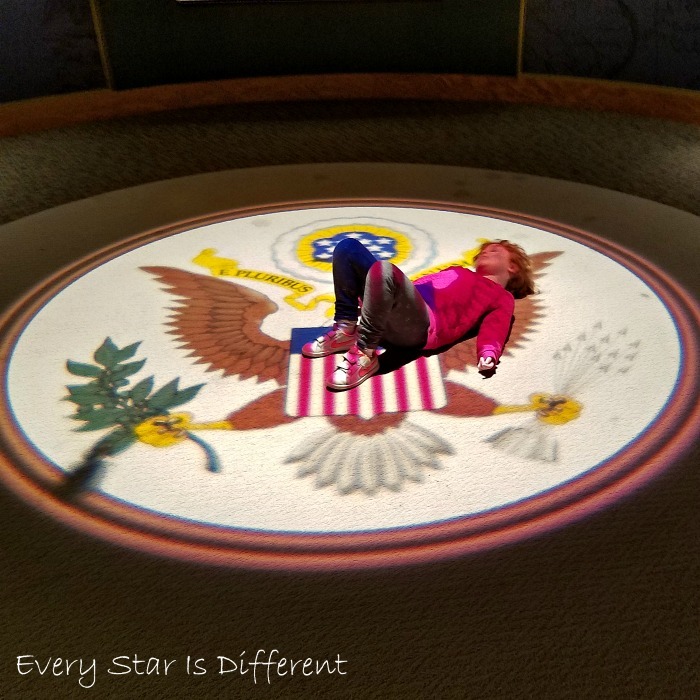 But for the purposes of this post, I wanted to highlight just how special needs friendly this place is, sharing our big favorites. 1. 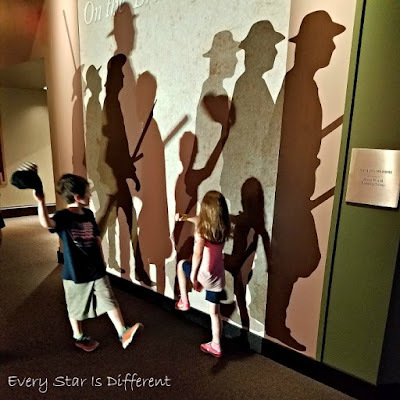 Weather can make or break a visit to this museum as half of the exhibits are outside. Be prepared when visiting. 2. Some of the indoor exhibits at the museum are very dark. If your child struggles with darkness, you may want to stick to lighted areas and outdoor exhibits. 3. There are many sounds throughout the interior of the museum. 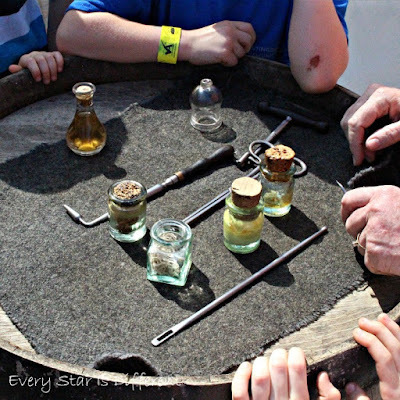 They are not too loud, but if your child reacts negatively to gun shots, cannons, etc., be prepared. 4. 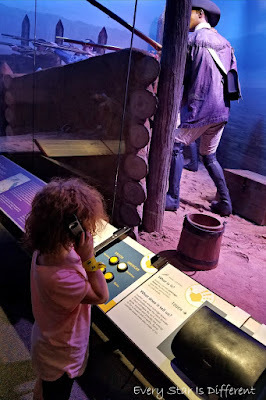 There is a full sensory movie experience offered in the museum called The Siege of Yorktown. The movie surrounds you on multiple screens. It is loud. Your seats vibrate depending on where you sit. A smoke machine sprays "fog" into the room. If you sit close to the front you can even smell coffee during one scene. For kids who crave sensory experiences and love to learn about battles etc, this movie is not to be missed. But for kiddos who are sensitive to sensory input, avoid this movie. 5. The interior of the museum is very wheelchair friendly. However, parts of the outdoor experience includes walking on dirt paths, rocks, and other terrain. There are smoother paths but you won't get as close to hands on experiences as one might on foot. 6. Weapon demonstrations occur at set times during the day. These can be very loud. The cannon demonstration literally shakes the ground around you, if you're outside. Be aware of the time to make sure you're where you want to be during those set times.